Curious About AB2053 and Workplace Bullying? 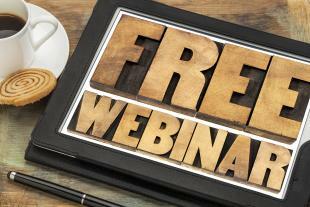 Join Us For a Free Webinar! We’re excited to announce our upcoming webinar “Preventing Abusive Conduct and Bullying in the Workplace: A Policy and Training Roadmap” in collaboration with MYCA Learning! While California training managers are very familiar with AB1825 and the sexual harassment requirements included, not everyone is familiar with the parameters of the new AB2053 law. Don’t miss this webinar where you’ll get all the need-to-know info right from the subject matter experts, Stephen Anderson and Anne Noel. AB2053 expands on AB1825 to also include “prevention of abusive conduct,” addressing the major issue of workplace bullying. The new law is more encompassing of harassment behavior and goes further to protect employees from abusive behavior. Worried you’ll get pushback from management and employees (“We already took that!”)? We’ll also address those concerns and help you make the case for the updated training. This webinar is for anyone seeking comprehensive harassment and bullying training and those looking to comply with new California requirements. We know the law can be difficult to navigate; we’re here to help! Join us on Thursday, December 11 at 10:00am PT/1:00pm ET for this informative session! Ann M. Noel, Esq., is the founder of Noel Workplace Consulting, specializing in legal advice and training on California and federal employment law compliance, especially sexual harassment prevention, disability and leave laws. She is the former executive officer and chief administrative law judge for the California Fair Employment and Housing Commission, where she crafted California’s regulations on mandatory sexual harassment training, disability and pregnancy discrimination, and adjudicated hundreds of employment and housing cases, including sexual harassment cases. Ms. Noel serves as an expert witness on employment and housing discrimination law. For over 30 years she has lectured, trained and written about disability, leave and anti-harassment laws. Stephen F. Anderson, President of Anderson-davis, Inc., (est. 1980) has written award-winning video-based and online sexual/unlawful harassment, retaliation and harassment prevention training that’s been delivered to over 4 million employees, and facilitated in-house training to over 140,000 in the private, public, academic and military sectors in the United States and across the globe. Stephen is an innovator in the design of cutting-edge prevention and skills training, developing the concepts of ‘intent vs. impact’, ‘subtle sexual harassment’, ‘respect vs. harassment’, ‘intervention when no complaint’, ‘avoiding interview mistakes’, and ‘myths vs. facts’. Mr. Anderson’s training methods and expertise have been featured on: 20/20, Good Morning America, Headlines on Trial, ‘News Station’ TV Asahi, Japan and Oprah.